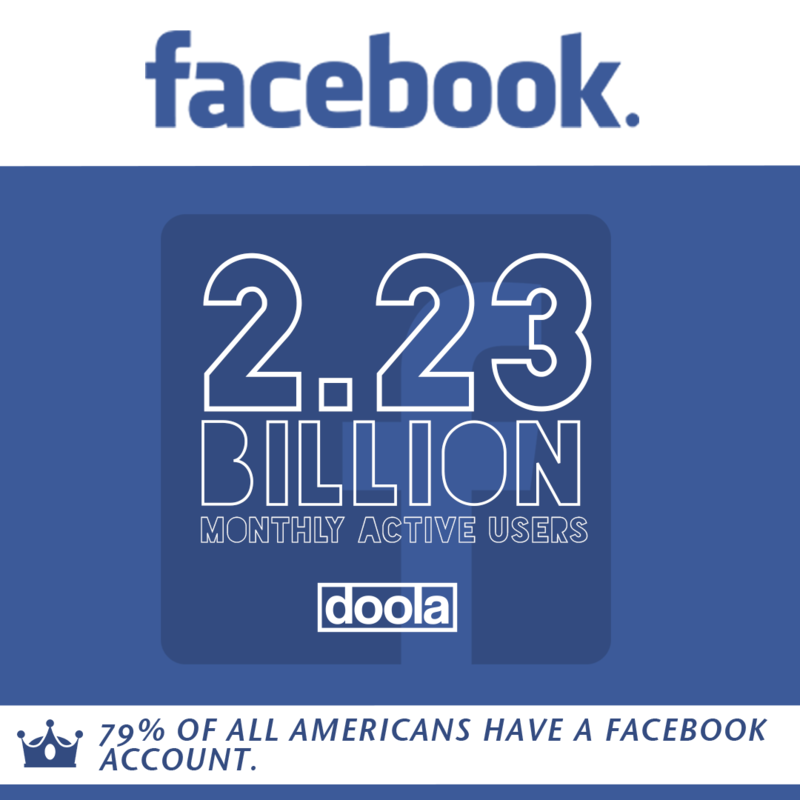 With over 2 billion monthly active users, it’s tough to argue that your customers aren’t using the platform. 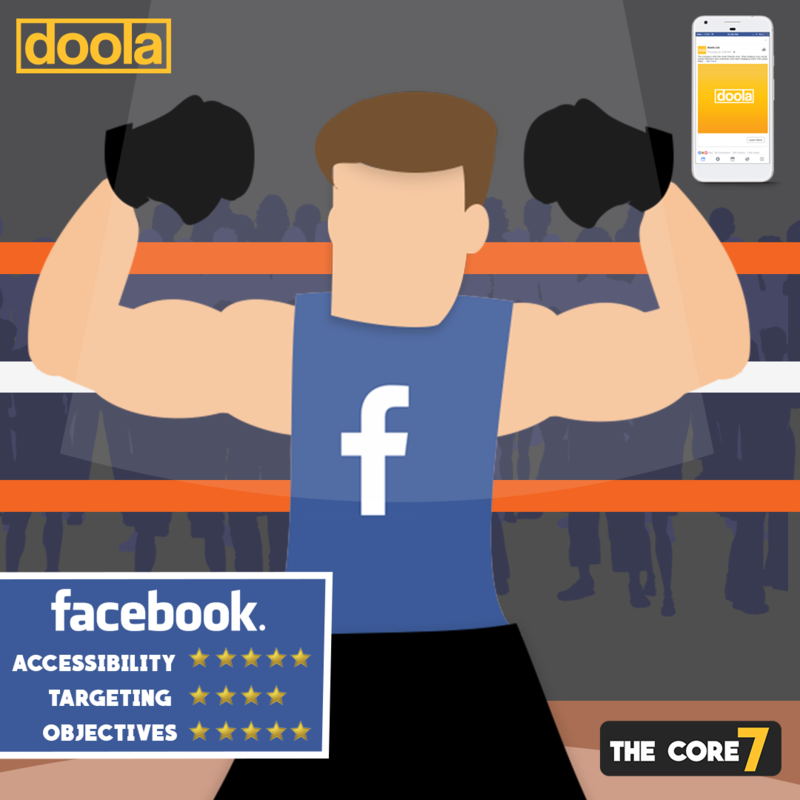 Facebook is one of the largest data hubs in the world and has access to valuable interest and activity based information that can be leveraged to find your exact target audience and execute efficient marketing campaigns. Biggest Weaknesses: As of May 2018, Facebook no longer uses third party data partnerships for advertising purposes. The #1 focus every business owner should have right now is using social media to generate trackable leads for their company. 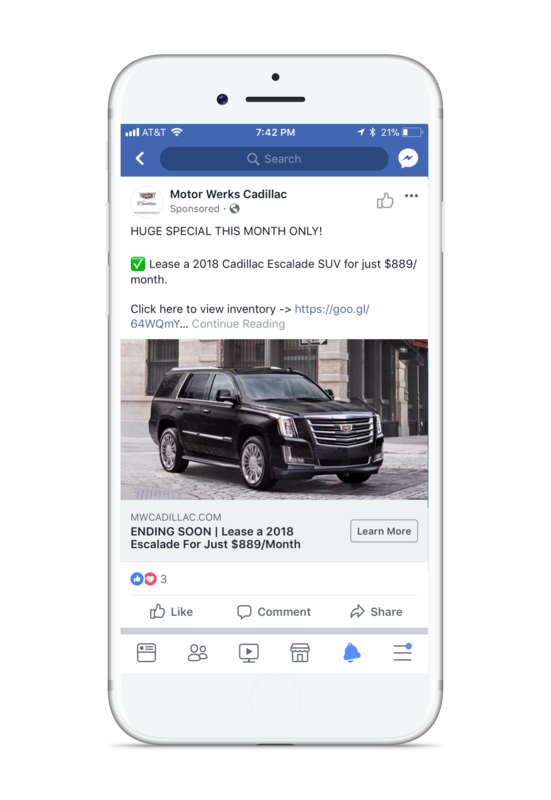 Facebook has a built in Lead Generation campaign objective where businesses can attach custom forms to any of their advertisements. These can be used to target potential local customers the opportunity to schedule appointments, claim vouchers, request more information, etc. Every marketing strategy should have a focused lead generation strategy using Facebook. 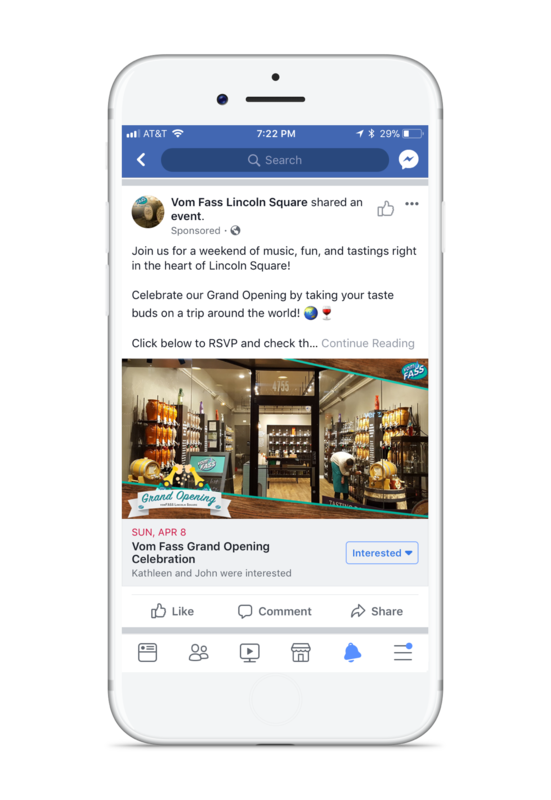 If you need to drive attendance for an on-site event, a Facebook Event Response campaign is perfect for you. The platform is open for anyone to create an event and invite their friends and co-workers to. 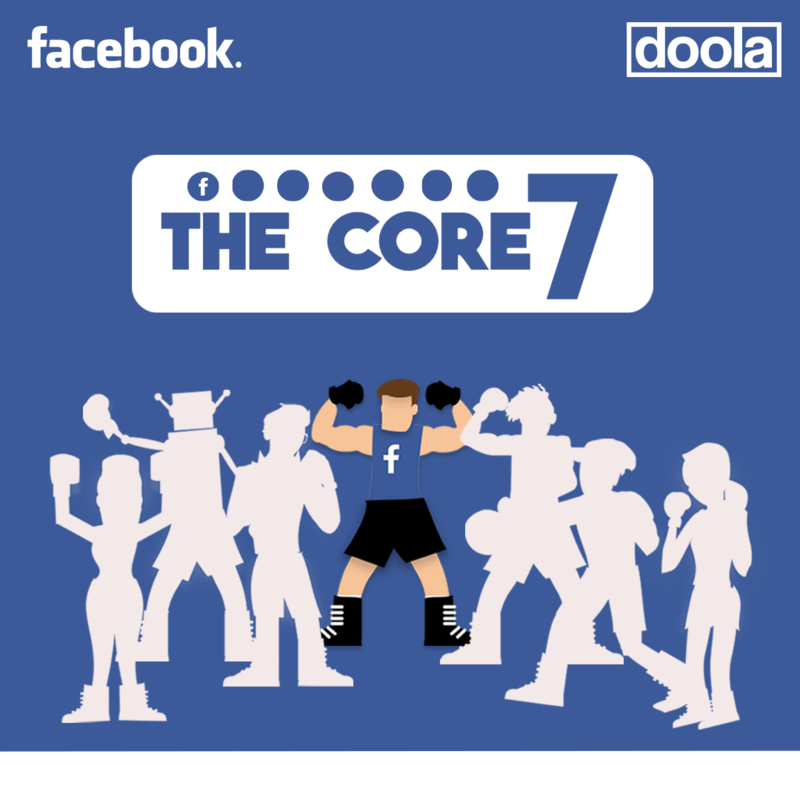 Where it get’s really fun is when you can target advertisements for the event out on Facebook to local audiences, CRM lists, lookalike models of current customers, etc. These campaigns give users the ability to RSVP as “Interested” with the click of a button. With the right tracking pixels and retargeting system in place, an outbound click to a businesses website is extremely valuable. 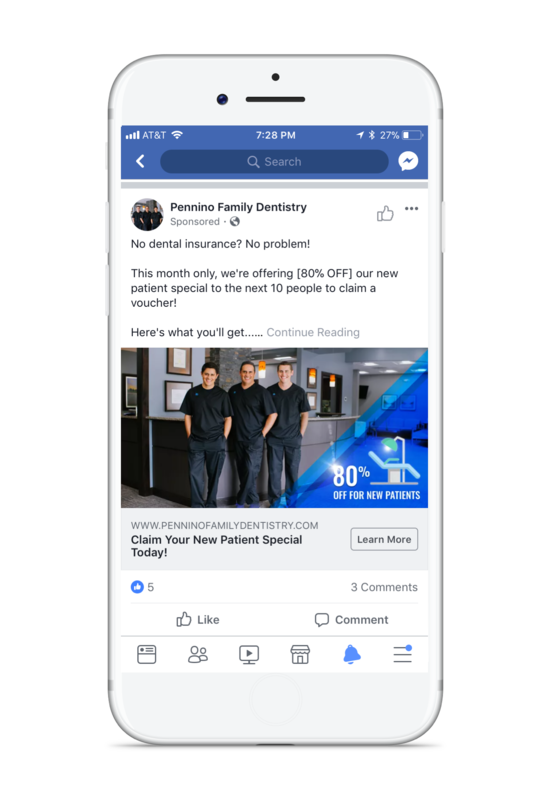 Facebook is a leader in driving low cost-per-clicks and qualified traffic while its targeting parameters can be used to drum up awareness in the right locations among the right groups of people. 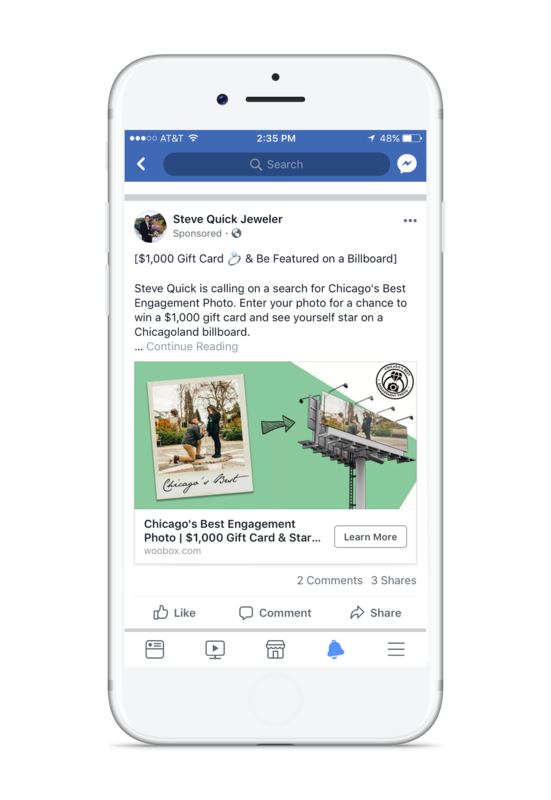 Facebook prioritizes the user experience over everything and that means it values what it considers “good advertising.” If people engage with your ads (click/like/convert), it will cost you less at a cost-per-thousand (CPM) to serve the ad. Bad creative = waste of your money and the users experience. 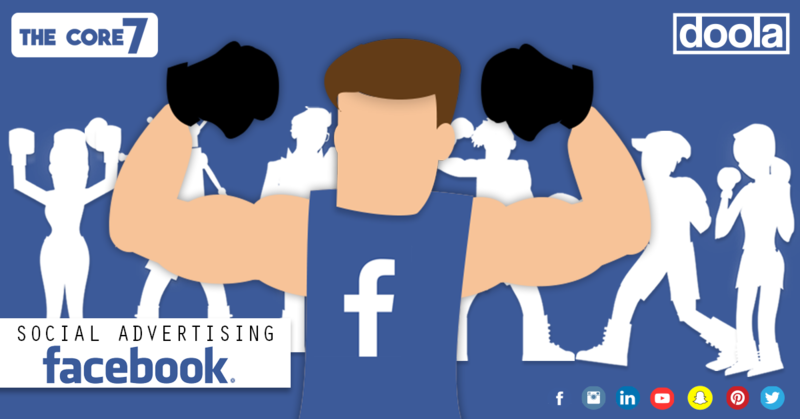 The combination of Facebook’s Campaign Objectives and the vast amount of data available for targeting opens doors for you to get creative with your business. If you’ve ever had a crazy idea or promotion idea, Facebook is your opportunity to execute and target it out to the exact people who would take interest. Take the above example with Steve Quick Jeweler who wanted to spread love throughout Chicago while promoting his unique line of wedding bands – We created “Chicago’s Best Engagement Photo” contest and targeted recently engaged couples living near his 3 stores the opportunity to win $1,000 and see their photo featured on a Chicagoland billboard.